Under 7 and over 11. 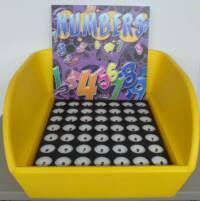 Toss the balls and add up the numbers to win Comes with 3 plastic balls Insert only. Tub not included.